The article by Löppenburg et al. 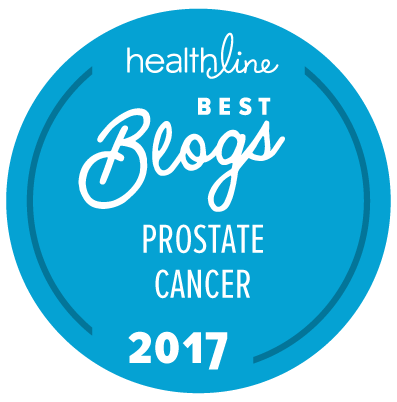 (see also this report in Cancer Therapy Advisor) is based on a retrospective analysis of data from > 115,000 men with low-risk prostate cancer diagnosed and initially managed at US hospital-based institutions between 2010 and 2014. The application of active surveillance as a first-line management strategy in low-rsik patieents increased from 6.8 percent in 2010 to 19.9 percent in 2014. There was great inter-institutional variability in the probability of initial management with active surveillance. Men treated at community cancer programs were twice as likely to receive initial management of active surveillance (odds ratio [OR] – 2.00). Men treated at academic institutions were ~ 2.5 times as likely to receive initial management on active surveillance (OR = 2.47). Men treated at high-volume facilities were much more likely to receive initial management on active surveillance (OR = 3.57). Patient and hospital characteristics accounted for 60.2 percent of the overall variation. The treating institution accounted for 91.5 percent of the unexplained variability. Policies to achieve consistent and higher rates of active surveillance, when appropriate, should be a priority of professional societies and patient advocacy groups. Our Us Too chapter has provided information favorable to active surveillance for appropriate patients since 2005, with fresh information almost every year. The information is now strongly favorable to active surveillance, but the quoted guidelines will be a welcome addition. Thank you! We have seen increasing interest in this option in recent years at our group. During the drafting of the AUA/ASTRO/SUO guideline panel sessions we discussed the fact that many things differed in rural areas versus large institutions and cancer centers. Patients are more subjected to outside standards based upon various factors. Many physicians are practicing “what they know” but not what has changed in time is one reason. Lack of state of the art equipment is another. All panelists felt that active surveillance was one where it is not excusable to still be using the pre-USPSTF standard of diagnose and treat all but the very sick. But it’s still happening. We had heavy evidence on very low-risk that the appropriate first step was active surveillance (Grade A, Evidence Level: Strong). Same for low-risk but there was still some apprehensions on the data (Grade B, Evidence Level Moderate). There is careful word-smithing between statement 7 “best available care option” versus “preferable care option” in statement 8. I can say that when the draft went though the peer review phase prior to the release of the guideline, this was one area that there was consensus with these statements.